New Attack on Titan friends. This is my first post from the mobile app so I don’t know how nice it will look. If I can get it to look normal blogging will be so much more convenient as I won’t always have to be on my laptop! 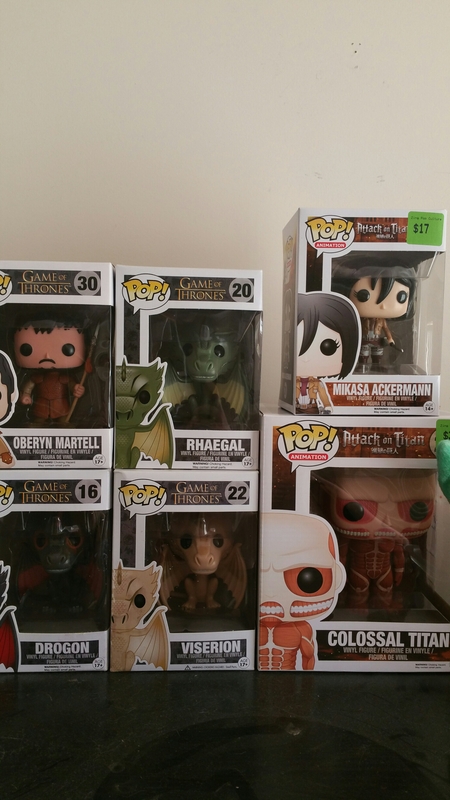 I have been waiting for the AoT Pops to come out for awhile now. I did a poor job as I had no idea they had even come out. 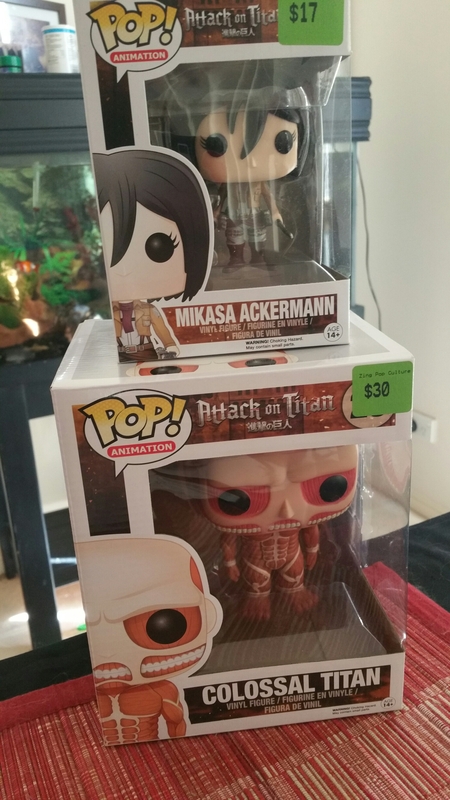 I picked up Mikasa and the Colossal Titan. I could not bring myself to purchase Eren as he looked a bit basic!